I can’t say the opening doesn’t know how to grab your attention! I was not expecting anything in particular so when the action started before I reached the 5% mark, I was surprised but interested. The author brilliantly combined enough mystery and fighting to tickle my interest from the start, and believe me, fighting scenes often leave me dead cold so he did a great job! Fastforward some time later and you’re with a squad trying to get a stolen object back (Yes, I’m being vague on purpose, as usual!) I felt the beginning dragged a little too much for me as we alternated between battles, world-building and the introduction of characters, but when I finally started to remember who was who and doing what, I found myself caught in the game. I am aware this is a rule of fantasy: to get the reader invested in the world and story while avoiding info-dumping and giving them enough action to satisfy their appetite! Quite a task, if you ask me! Still, there were enough descriptions to make me travel to places the wuss I am would rather not set foot in, and enough blood so I would make a list of who had had the worst death. It was very fun! With the relic as the center of the story, you get to understand the balance of the team as they make progress in their journey and even with fairly sketchy information, you grab enough to know Winter is coming this is no holiday. Raylan and his brother, leader of the team, have a complicity and reflect a natural brotherly feeling I was happy to see, as a touch of normality in a story I knew would bring me enough surprises. You also get to meet the team… Some members for longer than others. I have to mention it because I wasn’t prepared for it and I suffered for those poor lads. But the team spirit is here, along with the skills of trained soldiers, the bravery you hope to find in the better men, and the camaraderie you need to face the world. Only Jack Bauer can survive and do it all alone. Suddenly things get real and what was just a mysterious and only barely discussed ancient object turns into a giant surprise. Not so giant at first. I do remember his first scene reminding me of the very famous Game of Thrones one, but kinder. While the show’s ancient and supposedly dead dragons gave me the creeps and scared the hell out of me, this “relic” felt different and you cannot help connect with it thanks to a very descriptive and clever writing of the meeting of a lifetime. I felt for it instantly, and so did Raylan. I found the development of their relationship well-executed, and I admit I wish I could have the same friend at home! I am going to offend people but I couldn’t help thinking Raylan and Galliras the dragon were adorably cute. Yes, a dragon can be cute. Cute and a wonderful way to look at human beings and how they function and what they do. I only wished the “meeting” would have happened slightly sooner as I was starting to wonder about its utility at all in the story. I do not want to delve into the plot and reveal more than I should but I guarantee you blood, treason, battles and sacrifice. I promise you action, creatures, hidden agendas, and pages filled with enemies and the wonders of an unknown and not so welcoming world. I vouch for an epic fantasy story that won’t just check off the usual items you’re looking for, but offer you a glimpse of a bond from another world, and the pledge for darker days to come. Whilst he is a long time story creator, ‘The Stone War Chronicles’ series is A.J.’s first official undertaking into the world of publishing. His books show influences from nature, conservation and the traveling he does around the world, as well as every day things like family, sports and a simple moment enjoying the sun. As a reader, A.J. Norfield enjoys books from the likes of Anne McCaffrey, Terry Goodkind and Naomi Novik—to name only a few of many—which also inspired him to create his own world of fantasy and the people (and dragons) within it. Thank you 🙂 Had lots of epic fun with this one! 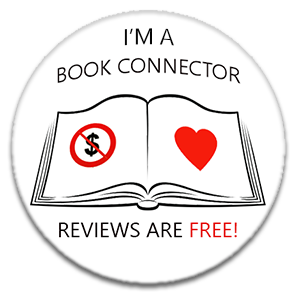 I find it good as a bookblogger, especially within the circles we mix in, that we can try out genres that we are not used to and probably wouldn’t have tried otherwise. I mentioned before to you that I only read fantasy as a trial because it isn’t a preference of mine. I really enjoyed the fantasy world and find these types of Authors so imaginative as they create something so weird and wonderful. I won’t be reading many more fantasy books, but it was good to try them. I’m glad you enjoyed this one. Great review as always. It was really cool and I love the human/dragon relationship!! Never thought I’d say this, hahahaha! It’s funny because I’m preparing a post about recommendations and I realized that when I read scifi or “fantasy” books, I absolutely loved them. It’s just not a genre I usually read, but when a title appeals to me, I end up enjoying it even more than my usual genre! Amazing review! Oh, funny indeed! It’s hit or miss for me, few fantasy books manage to convince me, but this one was wow! Completely mega that you read&reviewed a fantasy title! 🙂 I didn’t know what to expect in a fantasty review by you, but like always, you just nail it with informaton that matters most! Wonderful review and I shall defo check the book out. Ouf! I’m relieved you think I did not ruin everything with this review! It is so hard to know exactly what to say about a fantasy story because if you reveal too much, you spoil the fun, but I felt the need to talk enough about my favorite part to convince people there were really good things in it! Pfiou, I survived, haha! THANK YOU SO MUCH! Again, this review was not on the easy side of publication and I was nervous!!! I enjoy a bit of fantasy, but I really need to be in the mood or I give up after three pages! xD I just had to mention Winter and GoT! Aw thank you Twin Pea ❤ I wasn't so sure about this review as fantasy is not in my comfort zone and quite difficult to review! My brain needed some time to adjust to fantasy's own timeline and rules, but it was a really good story and it offers lots of distractions! ❤ Thank you my Twin Pea! I admire you for reading every genre (crime, romance, sci-fi and now fantasy)! I like talkative threads and battles and such don’t really speak to me so I would have given up after 5%, but this was certainly entertaining to read. Nice review! Also you so lost me with Game of Thrones, I’m a GoT virgin ;-). At least you know what the fuss is all about, I feel like there’s a joke and I’m the only one not getting it you know.. people use references to GoT all the time and all I know is it’s something to do with zombies :-). hehe you sold me at “winter is coming” 😉 JK- this sounds like a really exciting read and I love a good fantasy!! Awesome review- it’s really exciting that you’re branching out into unexplored territory! Looking back, as I’m always a bit confused with genre, I can’t remember if I reviewed a fantasy book xD Well, I did review The Raven Boys and ToG, I think they belong to it! It was a very descriptive story and I was immersed and so not prepared to have my emotions stolen by a dragon! 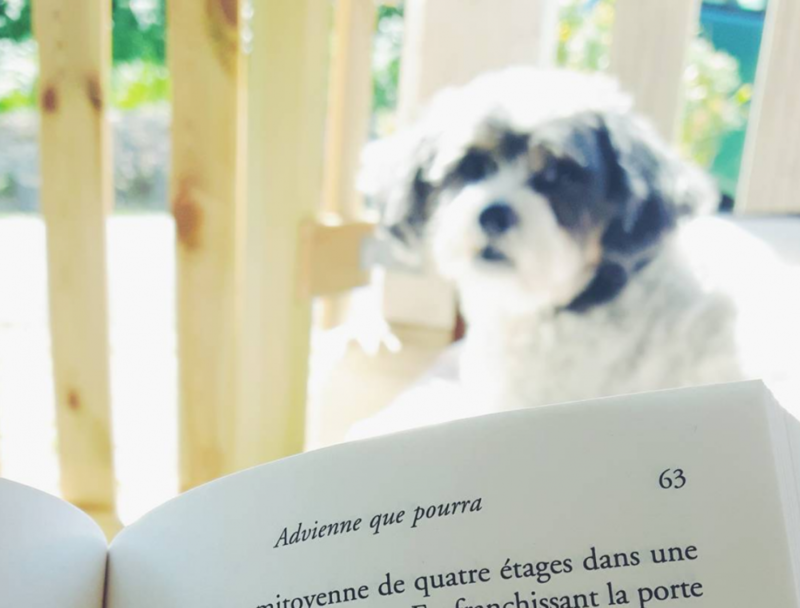 😀 I really had the feeling I could have jumped in the book with my dog for this adventure!